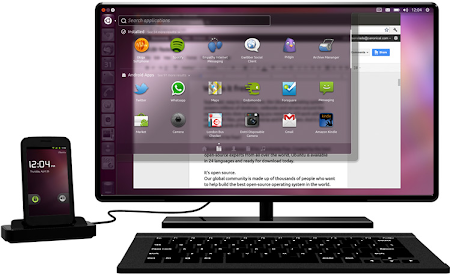 Mark Shuttleworth has announced "Ubuntu for Android", which brings Ubuntu to multi core Android phones. And it's not just a computer, Ubuntu TV is integrated into Ubuntu for Android so when you connect it to a TV, you don't get the Ubuntu desktop interface but the Ubuntu TV interface. Ubuntu for Android will use Unity, along with applications (or web apps) you're already familiar with, like: Chromium, Google Calendar, Google Docs, Thunderbird, Gwibber, VLC, PiTiVi, "Ubuntu Music Player" (looks like Rhythmbox) or Ubuntu Photo Gallery (Shotwell). This is possible because Ubuntu and Android will share the same kernel. 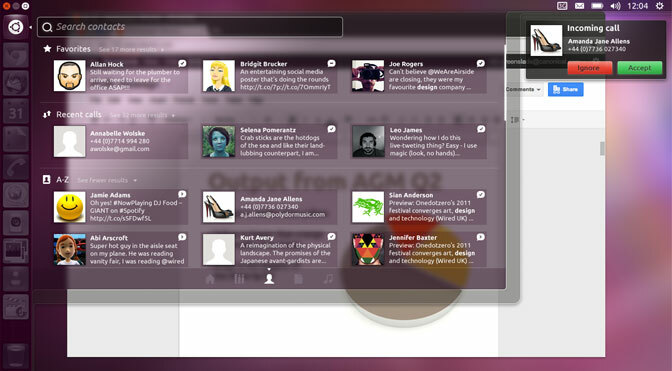 Contacts, photos, music etc., will be available on both the phone and the desktop interface. Mark Shuttleworth also says that this isn't the Ubuntu Phone (which is still in the pipeline). 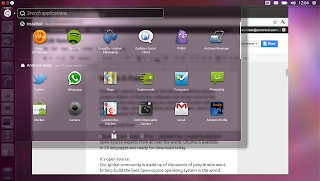 Ubuntu for Android will be demoed at the Mobile World Congress next week. For more information, see Mark's post and the official Ubuntu for Android page. Update: check out this Ubuntu for Android video.